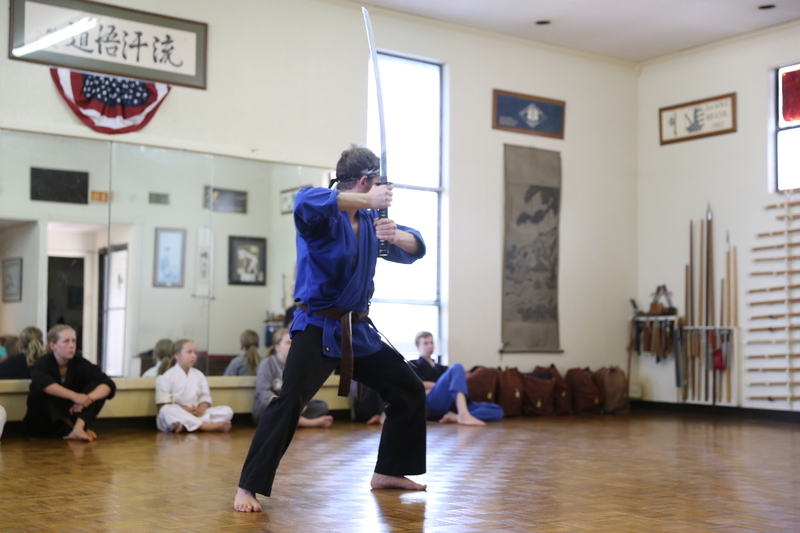 In an effort to preserve the ancient swordsmith arts, the Denton Academy of Martial Arts and the National Shin-Toshi Association is pleased to offer a sword restoration service on a selective basis. 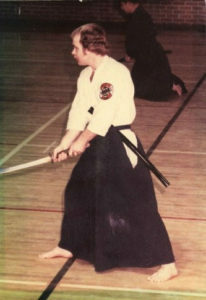 Many times individuals will have old samurai swords (katanas) sitting around in need of repair, but without access or availability of services. Since this site is still under construction only a general overview of services can be outlined with more detailed information to follow in the near future. Swords and bokkens adorning the walls at Denton Academy of Martial Arts. (hilt). This procedure will determine the authenticity (make, model, & year) of the sword. There are several different outcomes of this procedure. 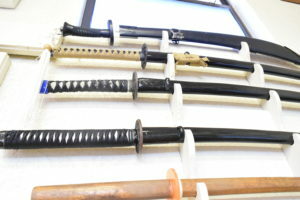 In fact, some swords can be unsigned and still be of very high quality. (menuki) need to be refitted or the hand guard (tsuba) needs to be tightened and/or cleaned or completely changed out for personal reasons. And lastly, the owner of a sword may wished to have the scabbard (saya) refinished. Also, our service is pleased to offer minor Togi (polishing) for those individuals wishing to clean and preserve their blades. However, sword owners should be aware that major sword polishing such as Nami-Togi (basic polish), Sashikomi-Togi (finger stone polish), Jo-Togi (high class polish), and Saiji-Togi (superior polish) are both expensive and time consuming, but they are available. And finally, our service will buy wooden scabbards and katanas themselves from owners wishing to sell their swords. Individuals seeking more information can do so during normal open hours, however these services are preferably handled by appointment only to determine the costs of repairs. Inspection usually takes from 3-5 days.